1. We carefully researched the two-piece connected colorful corrugated folder gluer machine for Chinese market. 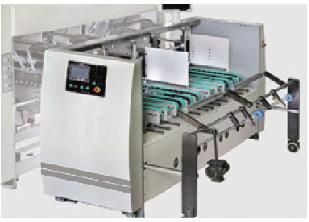 This kind of machine not only adopts single piece feeding ,but also adopts two-piece connected feeding. 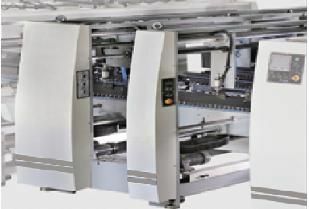 In order to avoid the limited of front printing equipment process,this machine save labor and save materials. This machine to avoid the limited of front printing equipment process,this machine save labor and save materials. This machine efficient production,reduce labor costs. 2. 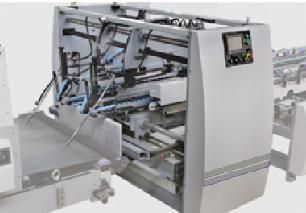 Two-piece connected colorful corrugated folder gluer machine,consists of two-piece feeding system,servo positioning regulating connecting system,folding system,transmission pressing edge correcting system,patting pressing conveying system. No matter it is flat box or abnormal box,transverse corrugated,vertical corrugated paperboard,all can be precise glued and formed in a high speed at a time. 3. 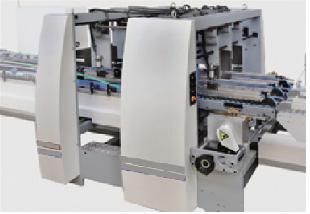 When using single piece feeding system,can be used as general folder gluer machine . 4. 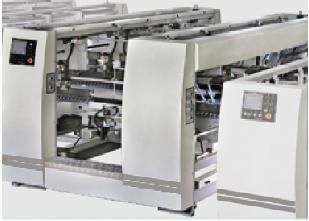 When using single piece feeding system,can be used as general folder gluer machine . Four groups of servo push back positioning system,ensure cartons,ensure the carton height precision . Two groups of pneumatic side positioning system,ensure the precision of carton connection mouth. PLC and human-computer interface control , ensure connection precision . Equipped with four groups of front hook modules,to realize bottom folding function. and ensure conveying in straight line. Upper and lower belt can move forward and backward to adjust.